Proudly positioned as the new flagship in the iconic Princess V Class range, the V78 tops the line-up recently expanded with the addition of the V50, V60 and V65 models alongside the existing V40. The Princess V78 delivers on a clear brief for the modern sports yacht owner’s demands – elegance of form, quality of materials, perfect practicality and inspiring dynamics, and will appeal to V Class loyalists looking for a step-up in size and performance as well as new clients searching for elegance and purity of purpose. Its structural form delivers vital functions – technical sea-keeping advantages optimising lift and minimise drag at speed, and the framework for its ingenious use of space. The V78 exterior is characterised by long sweeping lines and sculptural forms that are striking in their simplicity. The dynamic profile conceals a spacious interior that’s perfect for just relaxing, or making longer journeys in supreme comfort. Access to the V78 is from the elegantly proportioned hydraulic bathing platform, via a central stairway between the twin rear sunbeds. 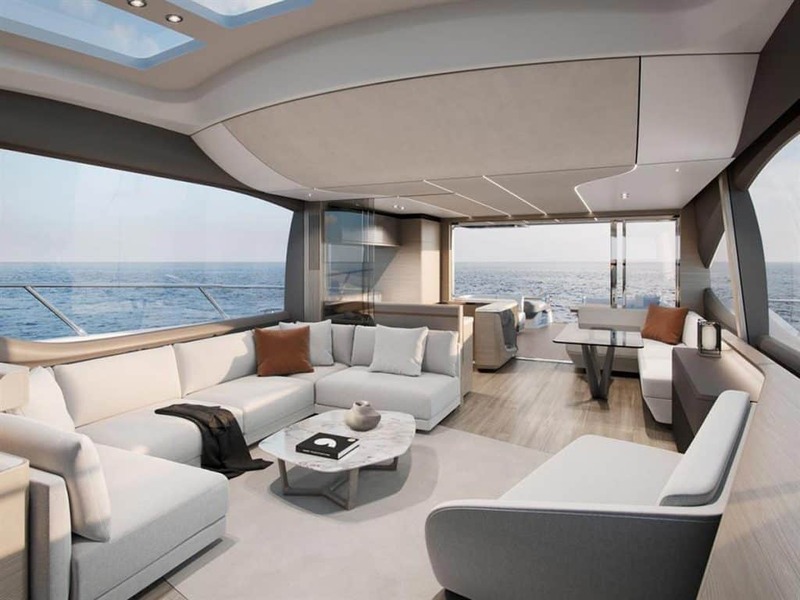 The cockpit features practical and flexible, modular seating and a sociable dining area with folding teak table – the perfect place to sit back, relax and enjoy the yacht’s exhilarating performance. 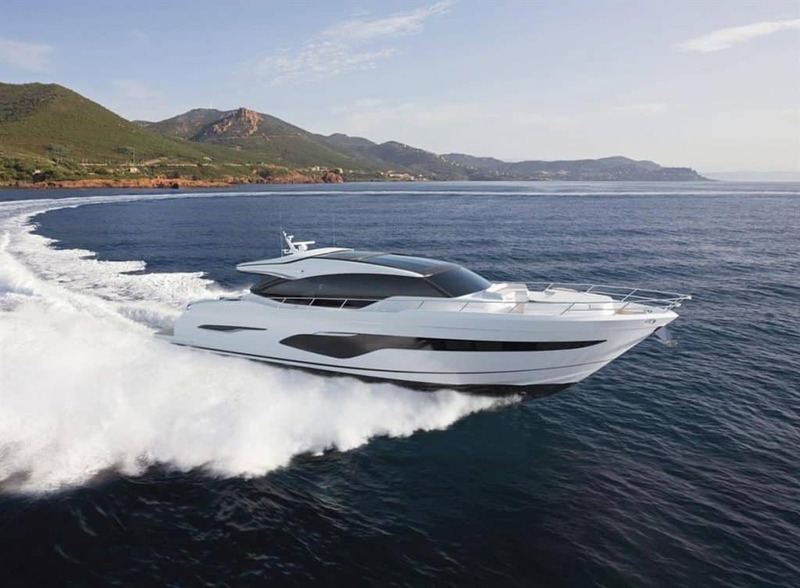 At the heart of the V hull’s stability and predictability is the state-of-the-art light, compact and efficient, high-power twin MAN V12 engines that deliver up to 1900 mhp and a top speed of 39 knots. The result is a best-in-class combination of engine performance and efficiency, physical dimensions and sea-keeping behaviour – classic V Class traits.